A nation stretching from the Pacific Ocean to the Gulf of Mexico and formed from two formerly-Spanish regions of North America, California and Tejas [Texas]. California broke away from the Kingdom of Mexico in 1822 after gold was discovered there and a large number of immigrants, none of them particularly loyal to Mexico, came to the region. Tejas likewise broke away after a large influx of settlers from Louisiana during the same time period. Because of both nations being founded by immigrants, in the case of California by immigrants of all races, religions and nationalities, California is a secular nation, holding its governance entirely separate from religion. As such it has long been a member of the Freethought Alliance. Because of their somewhat different histories the east of California (the former Tejas) is less mixed, racially and culturally, than the west, although this is slowly becoming less so with time. Along with New England and Braseal, California is one of the second-ranked industrial powers of the Americas after Canada-Louisiana. The cities of California bustle with evidence of many cultures, religions and cuisines. Although the mix of cultures does occasionally cause religious tension or even violence, in general the mix is a peaceful one. 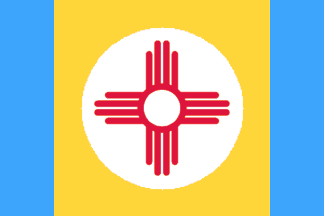 California does also suffer occasional instances of trouble from the Tejas Independence Movement which remains active in the east of the Republic of California. However, it is very much a minority movement. 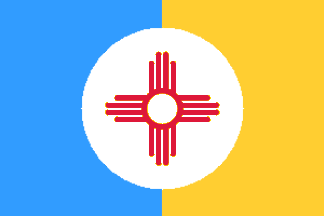 A side effect of this is that some people refer to the nation as 'Tejafornia' or 'Calejas', depending on their opinions. Despite initial friction, California gets on well with its neighbour of Novo Albion, although somewhat less so with Mexico and California-Louisiana. The head of state of the Republic is the Alcalde, a Spanish term originally meaning mayor, but which has over time come to mean the ruler of the entire nation. Its capital is the city of San Diego. The currency of California is the Florin, which is divided into one hundred Soldi. Before Tejas joined California in 1858, the flag was vertically divided into two, with blue on the hoist and gold on the fly, symbolising the sea to the west of the country, and its land. Centred on this was a white circle with a red sun symbol derived from one used by the native Zia people. After Tejas joined California, originally as a temporary measure, the flag became a gold field with a blue stripe down each side, representing the country extending from the Pacific Ocean to the Gulf of Mexico with, in the centre, the same circle design. A North American monarchy with its capital in the city of Ville de Québec [Quebec City]. It is ruled by the Bourbon Dynasty, who were exiled from France in the First French Revolution of 1801. Originally the Kingdom of Canada, it came to formally take over Louisiana in 1845 after the Louisiana Civil War caused by the death of Le Dictateur. Although over time Canada and Louisiana have integrated into a single unified nation, the former Louisiana remains the poorer and more backward part of the country. Canada-Louisiana is the foremost industrial power in the Americas, and also has the highest population of any American nation or colony. Canada-Louisiana has had a religiously mixed and tolerant population since the early days of its colonisation, when large numbers of Huguenots made new lives there. The Huguenots remain a significant power in Canada-Louisianan politics. Beyond this Canada-Louisiana has also become a haven for numerous other religious dissidents from Europe and elsewhere, who, although there have been instances of religious and ethnic violence over the years, generally live in harmony. There are also a significant minority of Scottish-descended people in Canada-Louisiana, who emigrated there during or after the War of the English Succession. The former Louisiana is more uniformly Catholic than the former Canada, partly because many of its people are descended from those who left France because of the Islamicisation there, so it leans towards the One Truth bloc while the north, and the Kingdom as a whole is much more Dharmic-leaning. Because of its religious tolerance and its bordering the Holy Russian Empire, Canada-Louisiana has significant political and military ties to the Mughal Empire. The Mississippi River and its tributaries are the major trade artery of Canada-Louisiana, with canals also linking it to the Great Lakes and from them to the Atlantic Ocean via the Saint Lawrence River. Since the Saint Lawrence War when Canada-Louisiana lost a great deal of control over the Saint Lawrence River to the Anglo-Danish Dominion of New England, much of Canada-Louisiana's trade with the Atlantic has been via the new port city built at Nain in Labrador and linked to the rest of Canada-Louisiana by rail. The King of Canada-Louisiana is advised by the Conseil du Roi (King's Council), the administrative and governmental apparatus around the King which prepares his decisions and gives him advice. Under the Conseil du Roi are a number of other councils concerned with aspects of government, finance, judicial and administrative affairs. These often overlap with one another. Over time Canada-Louisiana has learnt from the experiences of other nations, and of France in particular, and has moved away from its original (generally reasonably enlightened) absolutism towards a more open and democratic society. Although initially hostile to one another, over the years the shared culture and a lack of competing national interests (arising from their large geographical separation) has led to increasingly good relations between the Kingdoms of Canada-Louisiana and France, although there is no danger of the two nations ever merging back into one. There is no formal alliance between the two nations, but relations are nonetheless close. The currency of the Kingdom of Canada-Louisiana is that originally used in France since time immemorial. The basic unit is the Livre, with other units of currency being derived from it. These consist of the Louis d'Or, which is four Ecus or 24 Livres or 480 Sols or 1960 Liard or 5880 Denier. Note that although they have the same names these are not the same as those used in France. The flag of the Kingdom of Canada-Louisiana is the traditional French flag that has been in use since 1365, and which is known as the 'France Modern'. Given their direct descent from the legitimate monarchs of France, the Bourbon Dynasty consider it their right to use this flag. 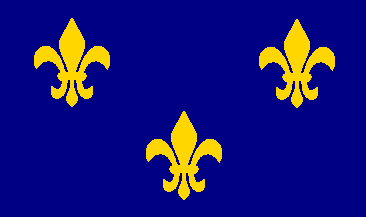 It consists of a dark blue field with three golden fleur-de-lis on it in an inverted triangle. A nation descended from English Puritans who left England for North America after the Restoration of Charles II in 1660 and in the decades following, particularly after the end of the War of the English Succession. With the suppression of religious dissidents after this many Puritans began what became known as the Second Exodus into the west of North America, seeking new lives free of persecution. This eventually led them to the Pacific coast of North America where in 1752 they founded the settlement of Deliverance [on the site of Seattle in the real world], and declared the New Commonwealth itself in 1753. Since then the New Commonwealth has grown out from Deliverance, aided by the influx of Puritans from elsewhere, with the local natives and other non-Puritans who attempted to settle in the area being either converted to their brand of Christianity or driven away. Although their strong religious views have limited their technological advancement, the strong Puritan work ethic of the New Commonwealth has driven its development, and allowed the formation of strong trading links with other nations in the region, particularly Novo Albion, to whom it exports large amount of coal and other mineral resources [using the resources of the region of real world Wyoming, in the Powder River Basin]. It also developed a fairly strong rivalry with the Holy Russian Empire over competing claims in the Arctic, which caused the New Commonwealth to ally itself with the Indian Alliance during the Long War. The New Commonwealth was a major regional power. It was supported in its regional ambitions during the Long War by the Indian Alliance, and took significant amounts of Russian territory in Alyeska during this time. However, after the end of the Long War the Holy Russian Empire defeated the New Commonwealth in the Third War of Reclamation, and not only reclaimed the territory it had lost but also acquired significant amounts of new territory from the north of what was the New Commonwealth. Prior to its defeat by the Holy Russian Empire the New Commonwealth was prosperous, if austere. Since its defeat it has become a much poorer (and smaller) country, being deprived of the income from the territory it has lost as well as having to pay reparations to the Holy Russian Empire. As such much of the country is run down and much of it still shows un-repaired signs of war damage. There is a great deal of resentment bubbling under the surface in the New Commonwealth, both towards its own government over its poor handling of the war, and also against the Indian Alliance for hanging them out to dry in the Third War of Reclamation when the New Commonwealth did so much to help the war effort during the Long War. Although Puritan Christian, the New Commonwealth is ethnically diverse, and has a significant minority of Native American descent. Culturally the New Commonwealth is very lacking in diversity, with all settlements following a similar austere and well-organised plan. The capital of the New Commonwealth remains the city of Deliverance [Seattle], from where the New Commonwealth parliament rules the country under the figurehead head of state, the Lord Protector. The second city of the New Commonwealth is Piety [on the site of Victoria, British Columbia in the real world]. Although the New Commonwealth has laws against public drunkenness and sexual relations outside of marriage, Puritans are not at all opposed to drinking alcohol in moderation or to enjoying their sexuality within the bounds of marriage as a gift from God. The currency of the New Commonwealth is Pounds, Shillings and Pence, based on the English system. The New Commonwealth speaks a version of English, which they refer to as 'pure' or 'true' English, in that it has not been 'corrupted' by the infusion of words and so on from other languages, as that in England itself has been. 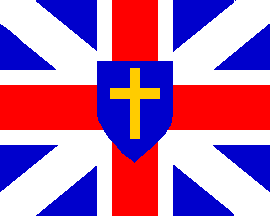 Its flag is a version of the English Union Flag as used during the Commonwealth period, modified by the addition of the Christian cross on a shield in the centre of the flag. The largest of the North American Dominions of the Anglo-Danish Empire, stretching down the east coast of North America from Newfoundland in the north to Florida and Cuba in the south. Hemmed in by the Francophone Kingdom of Canada-Louisiana to the west, New England has had to maintain its links to the home country for the sake of its own survival. Because of several wars between New England and Canada-Louisiana the people of New England have long been quite heavily militarised and more than a little Francophobe. As a result all citizens of the Dominion are subject to national service upon reaching adulthood, and most households in New England own at least one gun, despite attempts by the government to eliminate this widespread gun ownership. The only real exception to this is the island of Cuba, where the lack of land borders and so to any immediate threat has allowed the people to be somewhat more relaxed, giving them more in common with the Anglo-Danish Dominion of Mosquitia than the rest of New England. Because of this similarity to Mosquitia there have been a number of attempts to transfer it from one to the other, but so far without success. Along with California and Braseal, New England is one of the second-ranked industrial powers of the Americas after Canada-Louisiana. New England is divided into a number of Provinces, based on the old colonial divisions. Quite heavily industrialised, New England is also home to numerous military bases and fortifications, including many along the border with Canada-Louisiana that have been there since the eighteenth century in one form or another. Much of the trade and industry of New England is dominated by the Royal Universal Company and the Hudson's Bay Company, but there are also a large amount of independent companies and traders operating in New England. There is a certain amount of cross-border trade with Canada-Louisiana, but in general both nations avoid this as much as possible as a matter of policy. In addition to its militarism, New England is also known as the most religiously tolerant region of the Anglo-Danish Empire. The province of Maryland in particular is the most major concentration of Roman Catholics in the Anglo-Danish Empire, most of them from Ireland, and both Maryland and Cuba have a special dispensation giving their Catholics equal rights with the other official religions of the Empire. The capital of New England is the city of Boston in the province of Massachusetts and it is from here that the autocratic London-appointed President of New England rules the Dominion, aided by the Advisory Council made up of representatives of all of the provinces within the Dominion. As a Dominion, New England uses the same currency as the rest of the Anglo-Danish Empire. New England is much less ethnically diverse than is the case in the real world. It is populated almost exclusively by people of English and Danish descent (this latter including Norwegians and Icelanders), with a minority of those from other European nations. As of the year 2000 there are more Icelanders in New England than there are in Iceland itself. The flag of New England is similar to that of the second flag of New England of the real world, that is a red ensign with the Anglo-Danish Union flag in the Canton and a green pine tree on a White Canton within the union flag canton. A largely Danish-settled part of the Anglo-Danish Empire formed in 1871 from an amalgamation of its territories in the north Atlantic and the north of North America, centred on Iceland and Greenland and including what are in the real world the Queen Elizabeth Islands, the eastern part of Baffin Island and the northern tip of Quebec. Sparsely populated, Nordland has a significant number of military facilities, and acts as a gateway to the Atlantic Ocean for the Holy Russian Empire. Most of the industry and utilities of Nordland form part of the Hudson's Bay Company. 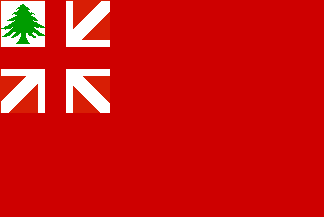 A Dominion of the Anglo-Danish Empire, it is ruled by a President from its capital city of Godthåb in Greenland, aided by an Advisory Council. Given the low population of the Dominion, Godthåb is actually more like a large town, with a population of some twenty thousand people. 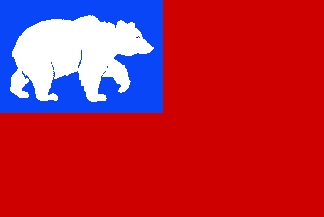 The flag of Nordland is a red ensign with a blue canton on which is the white silhouette of a polar bear. A nation on the west coast of North America originally settled by Russians and forming an isolated outpost of Russia, but which split away from the Russian Empire during the Russian Revolution, when it was the only Russian territory to avoid becoming part of the Holy Russian Empire. It is named for the country claimed by Englishman Francis Drake during his circumnavigation of the globe in the late sixteenth century, although it is also known as 'Noviiy Russiya' (New Russia) or 'Rossiya Poistine' (True Russia). Holding itself as the 'true' Russia, Novo Albion has, since then, become almost the opposite of the Holy Russian Empire as it struggles to survive. It is open, tolerant, progressive, secular, free and technologically highly advanced under an elected government run by the single house of the Novo Albion Duma under the Romanov Tsars descended from Grand Duke Pavel Konstantinovich Romanov, the highest-ranking noble to escape to Novo Albion from the Holy Russian Empire. Novo Albion is the most technologically advanced, densely populated and ethnically and religiously diverse nation in North America. In particular it has a large Jewish population descended from Russian exiles, and a significant number who adhere to a variety of traditional native American beliefs (not all of them ethnic native Americas). The official religion of Novo Albion is Reformed Russian Orthodoxy, that is, Russian Orthodoxy following the reforms made by the Patriarch Nikon in 1653. Parts of Novo Albion are industrialised and polluted, and much of it is given over to agriculture, but some of the country remains pristine wilderness. Despite their religious differences Novo Albion has long had a mutually profitable relationship with the Puritan New Commonwealth to its north, California to the south and with the Kingdom of Canada-Louisiana to its east. Its ports are linked by an extensive rail network to many parts of the North America. Although well-defended, Novo Albion remains largely neutral, and did not participate in the Long War. Since the end of the Long War there have been some diplomatic contacts between Novo Albion and the Holy Russian Empire, but so far these have not grown into any formal diplomatic contacts. The currency of Novo Albion is the Rouble, though this is a different Rouble to that used in the Holy Russian Empire. The flag of Novo Albion is the traditional plain Russian white, blue and red tricolour that was used before the Russian Revolution.